France remains resolutely French down to the Pyrénées. One could guess that the mountains themselves serve as the historical barrier between the two cultures, but then how come the Alps don't block German and Italian culture from France? I don't know what the reason is, but the French are -- and have always been -- spectacularly uninterested in Spain, except as a holiday destination. Though France borders Spain, and Spanish is one of the world's most widely-spoken languages, French schools almost never offer Spanish as a language to study. French students study English, of course, and the next most popular language offered in schools is German. I think you can find more Latin (and possibly even ancient Greek) than Spanish in the schools. Ironically, Spanish is extremely easy to learn once you speak French, since they are both Romance languages, but Spanish is infinitely more regular. When we moved to Paris and our girls were in elementary school, I thought of placing the girls in a bilingual French-Spanish school. I figured they'll always get enough English at home, and they'd become fluent in French with half a day of school and living and playing in France. But this way, they would also get Spanish. It seemed like a great idea until I did the research and found a total of exactly zero bilingual French-Spanish schools anywhere in Paris (and, as far as I can tell, in all of France). I even asked where diplomats send their children and, evidently, it's one of the mainly-anglophone International Schools, bilingual French-English schools, or boarding schools back in Spain. This amazed me, and continues to amaze me. There is surprisingly little Spanish influence in Paris, and France in general, despite being such close neighbors. Even by the southern border, you'll rarely find tapas, or Spanish music, or anything with the Spanish language. About the only Spanish influence I've noticed living in France is the prevalence of young flamenco dancers whenever there's a costume party. Abbaye de Belloc, also sometimes called Abbaye Notre-Dame de Belloc or spelled Abbaye de Bellocq, comes from the Pays Basque area just north of the Spanish border. 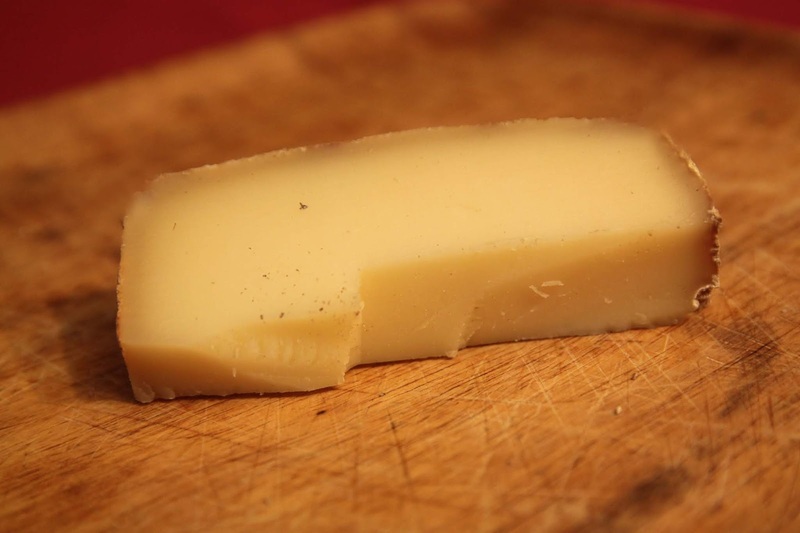 It's a raw sheeps' milk cheese that the local monks have been making for -- supposedly -- 3,000 years. The sheep and milk aren't that old, of course, and neither are the monks or, for that matter, Christianity itself. So, presumably, they learned these ancient methods from pre-Christian, even more-ancient peoples. At this point, it's a little hard to verify. What I can verify is that this is a semi-hard cheese with a colorful, pock-marked crust, and a dense, creamy texture. There's an almost caramel-like depth to the flavor, with a hint of sweetness and nuts. The younger wheels (around 4 months of aging) are made in December, and the older ones (aged around 10 months) are made in July. Both are then sent to market in April and sold during the spring/summer months. 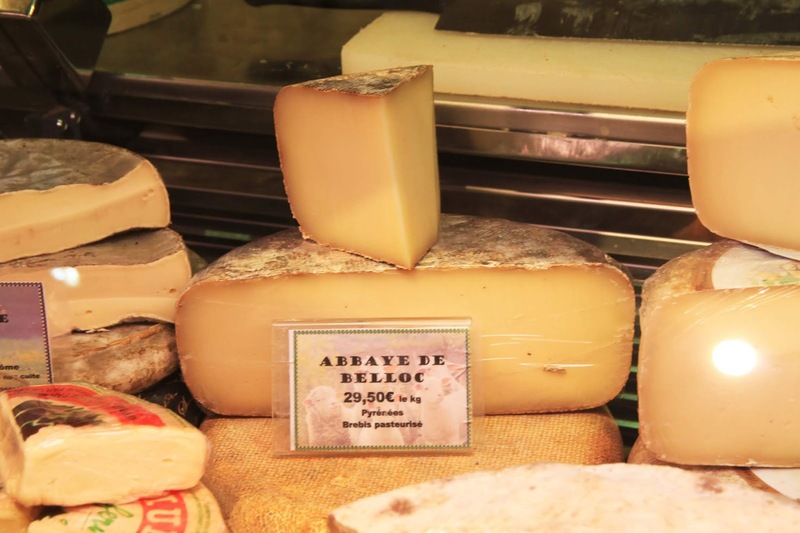 This cheese comes from the Pays-Basque area just north of the Pyrénées and Spanish border. Even though it's made just a stone's throw from the border, there is nothing Spanish about it. Here I am, 66 years old, French citizen, and I have ... never set foot in Spain (despite having done 3 years college in Toulouse) ! So yes, you are so right !